A dream Ducati - 4 bikes in 1. 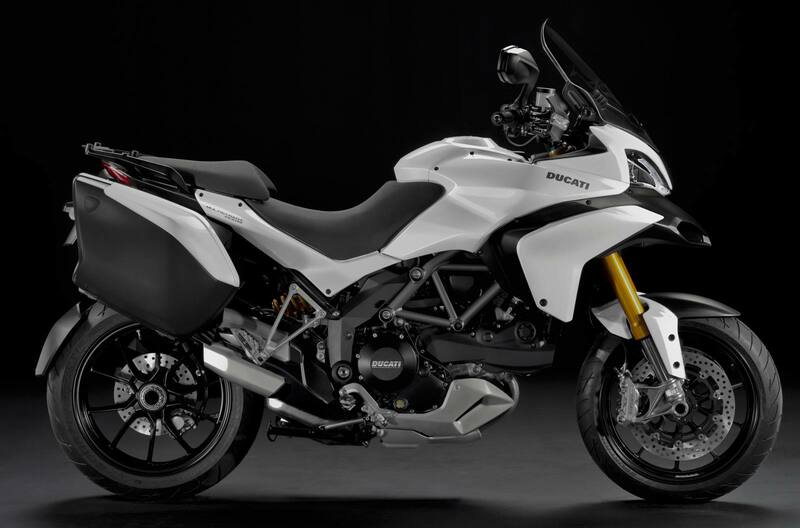 A sport bike, long-distance tourer, urban and road enduro are now separated by just one click. Enduro: If the route leaves the beaten track, the Multistrada 1200 is ready to take it in its stride. 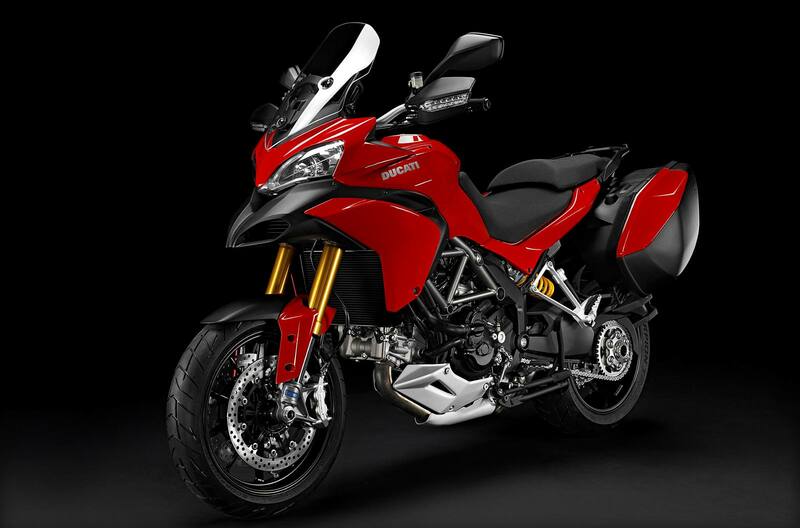 Agile, lightweight and with high, wide handlebars, serrated footrests, stylish sump guard and specially designed tyres, the Multistrada also features an Enduro riding mode which instantly delivers a smooth 100hp. With DTC reset to an off-road suitable level for less intervention and the all-mode option to disable the ABS, the ‘S’ version also dials-in an appropriate suspension setting ready for when the asphalt runs out. 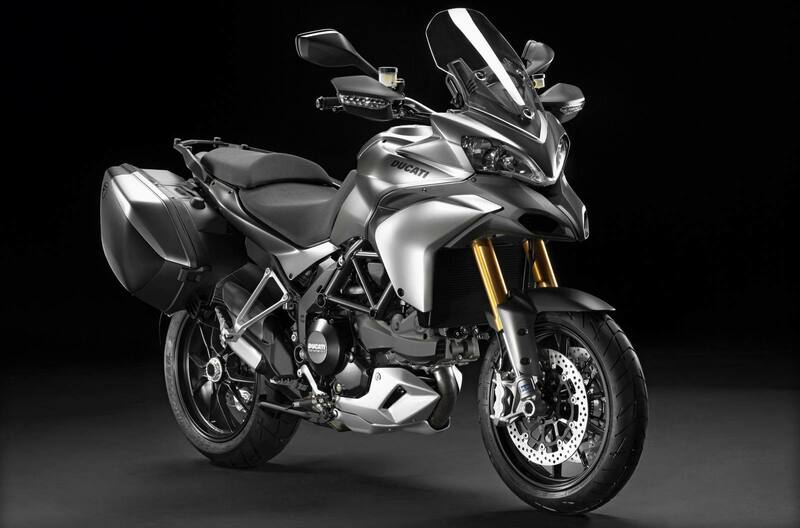 Touring: While the Touring riding mode is also programmed to produce 150hp, the power characteristics are designed in a configuration that delivers a smoother and more user-friendly throttle response. Active safety is already available with the advanced ABS system, but in Touring mode it is further enhanced by increasing DTC intervention to a level specifically intended for a relaxing ride and, on the ‘S’ version, the suspension automatically dials-in a setting ideal for long distance journeys, ensuring maximum comfort for both the rider and passenger and making every mile an absolute pleasure. Sport: The Sport riding mode delivers an adrenalin-filled 150hp ride with sports-oriented throttle response and, on the ‘S’ version, an instant high performance suspension set-up. In character with its Superbike bloodline, DTC immediately adjusts to a level for expert riders whose ‘comfort zone’ is a little closer to the limit. Ducati's racing experience combined with first-rate components makes riding the Multistrada 1200 a pure motorcycling thrill and a dream come true for those searching for best-in-class performance as well as comfort. Urban: As navigation of the urban jungle can require an even more user-friendly motorcycle, the Urban riding mode instantly transforms the Multistrada 1200 into the most manageable, practical and desirable everyday transport. Power output is adjusted to 100hp and DTC is further enhanced to provide increased intervention during the most chaotic of stop-start traffic. On the ‘S’ version, the suspension instantly selects a setting designed to tackle the maze of city streets full of speed bumps and drain covers.